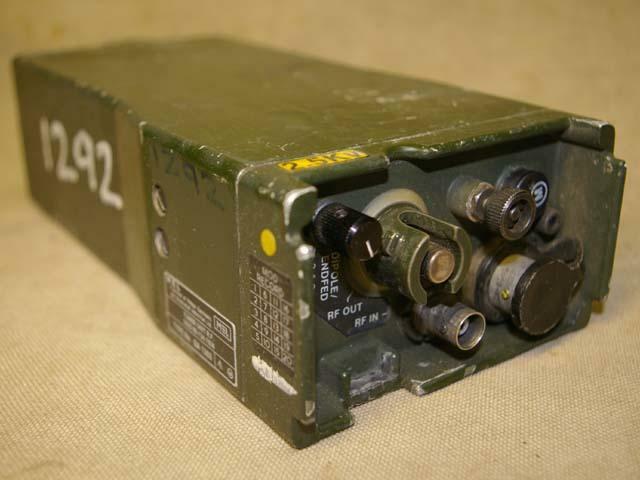 This is the Clansman PRC-319 Antenna Tuner Unit RF TURF. Manufactured by MEL Type No. BA1303. It is used to match the transmitting frequency of the PRC-319 to the antenna to give optimum performance and achieve maximum range with the radio set. To tune the antenna it digitally talks to the radio through the antenna feeder cable. NSN: 5820-99-734-7836. Supplied in good condition.